Welcome to a special #FridayPiday! Each week we highlight undergraduate and alumni brothers doing great things on their campuses, in their communities or in their professions. 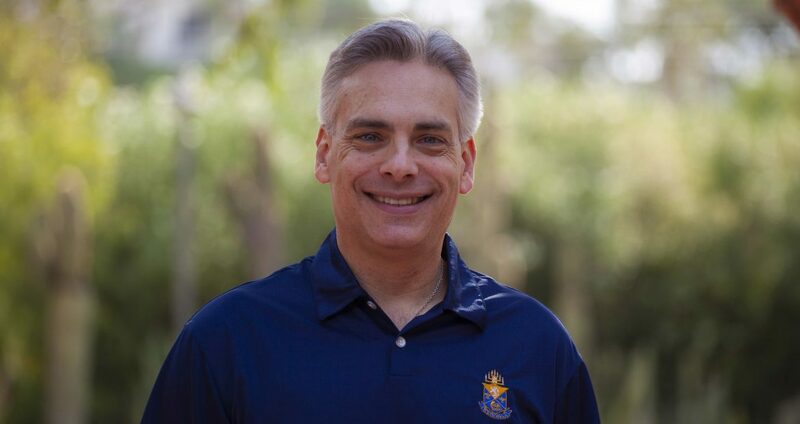 This week’s #FridayPiday, Jeff Jacobson (Northern Arizona, 1992) is hours away from being installed as the 74th Supreme Master of Alpha Epsilon Pi Fraternity. After attending law school at Whittier Law School (where he roomed with former chapter consultant Jason Feld), Jeff began a career as a prosecutor and lawyer. He moved to Tuscon, AZ to take on a job as a deputy county attorney and became the chapter advisor for the Upsilon Alpha chapter at the University of Arizona. In 2001, he met his future wife, Rachel, through J-Date. “I was actually at a chapter meeting at Arizona and had to leave early to meet her. I remember telling the brothers I was going to meet ‘the pharmacist’ and laughing about it. We’re still together 17 years later.” The couple have two children, Sam (11) and Shoshana (8).